CSA Ranger steel wheels are available in White, Black & Galvanised finish to suit a wide range of light weight and also heavy duty road trailer applications. Box trailers, camper trailers, boat trailers, heavy equipment trailers, agricultural equipment trailers and industrial road sign trailers, all use CSA Ranger steel wheels. 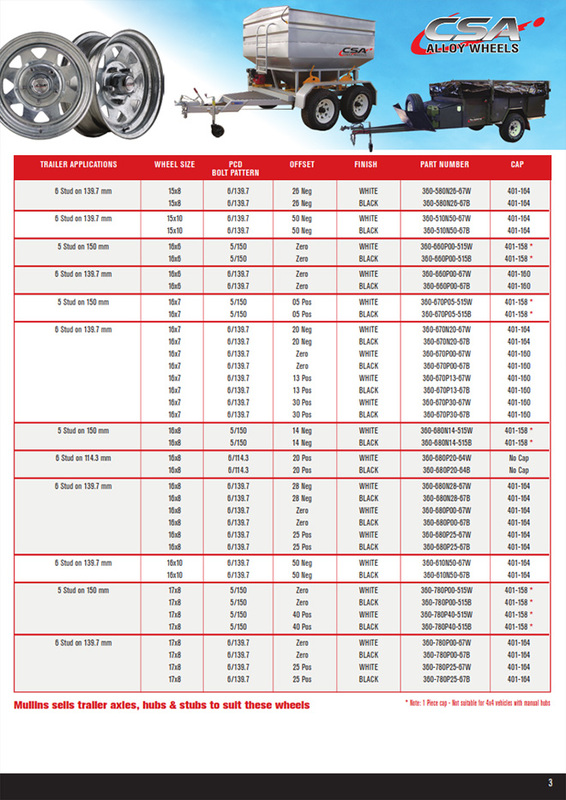 Mullins Ranger steel wheels, are stamped with the CSA brand and are available at all tyre stores Australia wide. 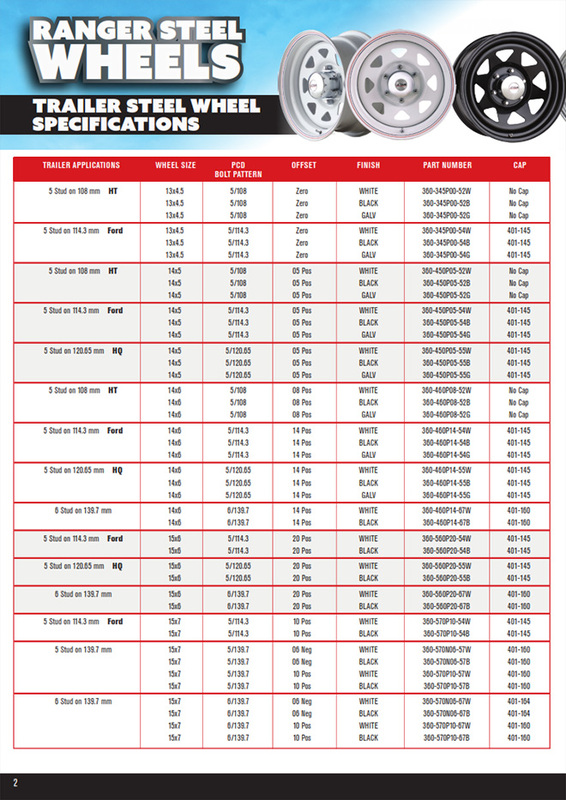 Ask for quality CSA brand Ranger Steel Wheels.